Our staff works as a team to provide you with the highest-quality care possible. New patients will have their medical history taken at their ﬁrst appointment to ensure that our records are complete. Ongoing patients will have their history reviewed to ensure that their records are up to date. To facilitate your medical care we also have additional Internal Medicine Physicians, Family Practice Physicians, Nurse Practitioners, Physicians Assistants, Registered Nurses and Certiﬁed Medical Assistants. 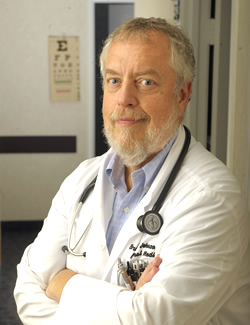 Bruce Johnson, D.O., F.A.C.O.I., C.M.D. is Board Certiﬁed in Internal Medicine and Geriatrics. Also Board Certiﬁed by American Medical Directors Association as a Certiﬁed Medical Director of Long Term Care Facilities. 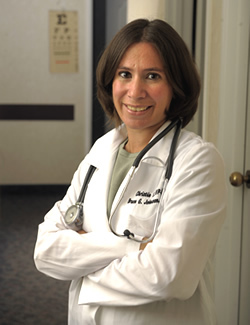 A Graduate of Oakland University with a Master of Science in Nursing and is a Board Certified Family Nurse Practitioner, working closely with Dr. Johnson to facilitate your medical care. Ms. Schunemann is on staff at St. John Macomb Hospital and Henry Ford Hospital, Warren. In addition, Ms. Schunemann see’s patient’s in the office and in conjunction with Dr. Johnson, Extended Care and Assisted Living Facilities.